Tokenize Everything. This seems to be the buzzword at the moment around the blockchain and cryptocurrency realm. Several traditional financial assets companies such as J.P. Morgan, Fidelity Investments have started to move into assets based tokenization. The cryptocurrency market has evolved itself from Bitcoin to ICOs and now to TAO ( Tokenized Asset Offering ). The expansion of cryptos into the Security Token is a natural progression since it allows traditional asset management companies and other institutional investors to participate in blockchain related projects. 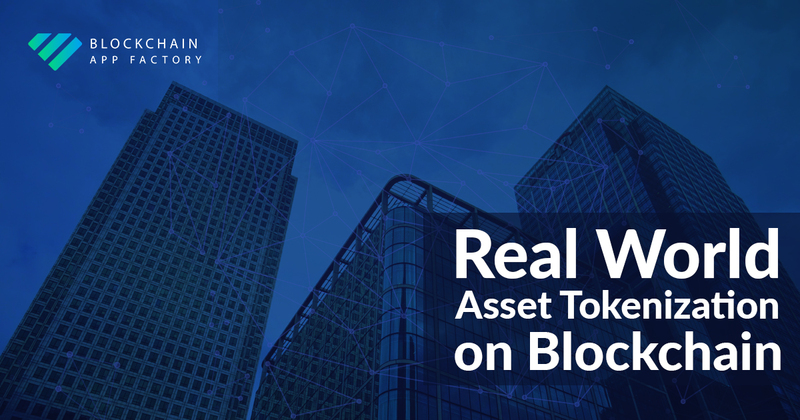 As expected by the STO enthusiasts, we have seen that commercial real estate is the first to move to tokenization of assets. This is because of the illiquidity attached to the asset. To liquidate the equity state, asset tokenization on blockchain provides the solutions to companies to raise funds for their projects. Tokenized assets are liquid, transparent and SEC-approved. The tokenization of real-world assets creates an environment of trust among the institutional investors who were hesitant about funding the ICOs. The roots of asset-backed cryptocurrency originate from emerging technologies such as blockchain. From Fintech, Financial Services to Healthcare and Supply chain the use cases for blockchain are enormous with applications as well. The global economy especially the financial markets are transforming seamlessly into the blockchain era. Security Token Offering enhance the efficiency and transparency of traditional markets by integrating with the existing financial landscape allowing institutional investors, fund managers, and accredited investors to participate in tokenized securities offerings. Rather than working around the framework of regulations and inviting trouble to the project, STOs would work with the regulatory authorities. However, these regulations will be coded into the smart contract, thereby eliminating the need for the transfer agents by automating the process. To ensure this transition of traditional markets into the blockchain, Blockchain App Factory helps companies to tokenization of asset. Also, we can help industries to create their own asset tokenization platforms.